Shawn Askinosie left a successful career as a criminal attorney to make bean-to-bar chocolate. Having built the business from scratch, the greatest opportunity and challenge has been weaving social responsibility into everything they do. 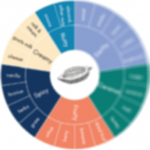 Askinosie uses an innovative ‘Stake in the Outcome’ model to work directly with farmers in Ecuador, Honduras, the Philippines and Tanzania, and gives each farmer a share in the profits of Askinosie. 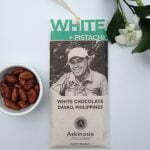 At the end of their 70 step chocolate making process, Askinosie hand wrap their bars, with a picture of one the farmers they do business with on the front. The bar is then tied with string recycled from their cocoa bean shipping bags. Shawn Askinosie was named by Oprah Magazine as “One of 15 Guys Who Are Saving the World”!